The chief of Escorts Group and Amitabh Bachchan's daughter, Shweta Bachchan Nanda's father-in-law, Rajan Nanda died at the age of 76 Sunday night, August 5. He is survived by his wife Ritu Nanda, who is the daughter of late veteran actor Raj Kapoor, who gave many hits in the Hindi Cinema. Shweta Bachchan Nanda’s father-in-law and the chief of Escorts Group Rajan Nanda passed away in Delhi at a hospital on Sunday, August 5, at 76. He is survived by his wife Ritu Nanda, who is the daughter of late veteran actor Raj Kapoor, who gave many hits in the Hindi Cinema. Currently, Rajan’s son Nikhil is the Managing Director of Escorts Limited and his married to Bollyoowd superstar Amitabh Bachchan’s daughter, Shweta Bachchan Nanda. 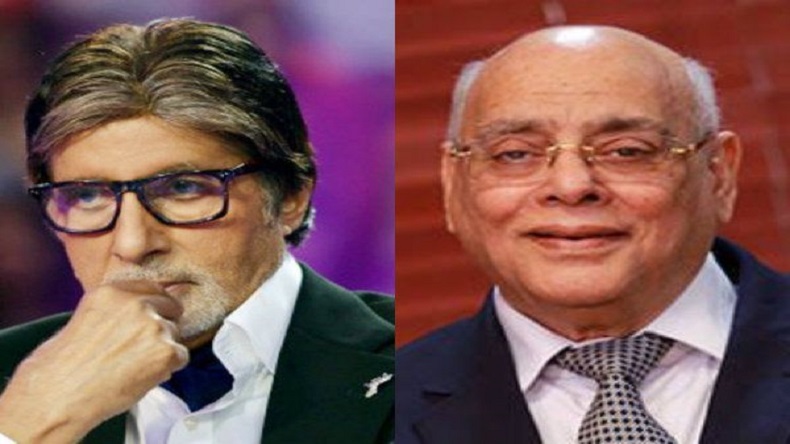 After hearing news of his death, Big B who was in Bulgaria for a film shooting wrote on his blog that his relative Mr Rajan Nanda, Nikhil’s Father, Father-in-Law of Shweta, .. just passed away, therefore he leaving for India.